I typically start my Observations by giving a review of the U.S. equity markets followed by a few Tandem strategy updates. However, given the flurry of activity in our various strategies, I’m going to just give you a few quick takes on the market as a whole, then dive right into a couple of trends to watch. The S&P 500 continued its ascent higher and finished the month up 1.93%. The Dow Jones climbed 2.54%, while the Dow Transports fell -3.98% – a trend worth watching for all the Dow Theorists. The Nasdaq powered higher by 3.38%, led once again by FANG. Lastly, the Russell 2000 (small-cap stocks) was up by 0.69%. The S&P 500 Total Return Index has now been positive for the past 9 months in a row and 16 of the past 17 months. The 9-month streak is the sixth longest monthly streak since 1928. Additionally, according to Charlie Bilello with Pension Partners, the S&P 500 has not had a 5% correction since June 2016, which is the fourth longest streak in history. The Nasdaq Composite has been the clear winner for much of the year. However, as of late, the index has started to show a few cracks in what has been an otherwise solid foundation. Based on research by Dana Lyons with My401kPro.com, for the 7th time in the last three months, the Nasdaq has experienced a new 52-week high coinciding with a decline in the advance/decline (A/D) line. This line measures the number of stocks that go up versus those that go down on a given day of trading. When more stocks decline in price relative to those that increase in price, it is considered negative breadth and often portends to future weakness. The recent string of 52-week highs coupled with a decline in the A/D line is the largest cluster outside of those seen at the end of 1999 and early 2000. 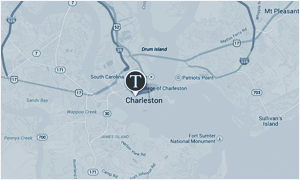 At the firm level, we were quite busy buying and selling across our strategies in July. We continued to be buyers of many stocks I’ve touched on over the past couple of months. After several months of buying FactSet (FDS)*, it now makes up a 3% position across all strategies. Our position in National Retail Properties (NNN)** has grown from 1.0% to 2.1%, since we started adding incrementally to it during the month of May. Dollar General (DG)*** and JM Smucker (SJM)** were added to as well, as another Amazon wrecking ball tore through the markets a few weeks ago. We added to our O’Reilly Automotive (ORLY)**** position for the first time since November 2010. ORLY was one of our best performing stocks, gaining 482% since our first composite purchase in September 2010 until it peaked in July 2016. Over this time, we took profits along the way as our quantitative model signaled an extreme overvaluation with our last sale taking place in January 2016 at roughly $256 per share. For nearly a year, the stock traded in a tight range until an onslaught of negative news rocked the stock. A negative earnings report from competitor Autozone, a pre-announced guide down of ORLY’s comparable store sales and speculation that Amazon was going to decimate the auto parts business rocked the stock. This allowed us to finally add to our current position as ORLY traded sub-$180 for the first time in two and a half years. On the other side, we liquidated one stock for fundamental reasons and pared back our holdings in two others based on extended valuation. WW Grainger (GWW)* was first sold for valuation reasons in December 2014 at roughly $250 per share. From the end of 2014 to last month, the stock position was small enough to remain below our minimum threshold to continue selling for valuation reasons. It wasn’t until April 2017, when GWW missed their earnings estimate and guided down their earnings projection for the remainder of the year that the stock exhibited negative earnings growth for a 36-month period, which is a fundamental violation of our investment criteria. Therefore, the stock was liquidated over the course of the past couple of months. Resmed (RMD)* and Nextera (NEE)*** were both sold for valuation reasons this past month. RMD has had a nice run this year. The stock is up over 24% year-to-date through the end of July. As the stock price has increased, the valuation has stretched to a point only seen two other times over the past 10 years. At the same time, RMD continues to grow revenues and earnings, but at a decelerating pace. There is clearly nothing fundamentally wrong with RMD, it just needs to take a breather (pun intended). NEE was in the same boat as RMD. The stock has had a tremendous start to the year by increasing 22.29% through the end of July and outpacing the S&P 500 Utilities sector by 12.89% over the same time. We first purchased NEE back in October 2008, when it was still called FPL Group. Over this time NEE has consistently grown its earnings and dividends with the latter more than doubling, which equates to a 9.2% annualized growth rate since our initial purchase and a yield on cost of 9.3%. Needless to say, NEE has been a very profitable holding for our clients. However, NEE has gotten to the point where the stock price is far outpacing the fundamental growth of the company. The stock is currently trading at levels never seen in its 30+ year history, while like Resmed, the fundamental growth has slowly decelerated over the past year and it was just time to take a few chips off the table. Lastly, I would be remiss to not touch on the good news one of our top holdings received toward the end of the month. On July 18th, the Wall Street Journal reported that Discovery Communications (DISCA) and Scripps Networks (SNI)* were in talks to merge. This news sent SNI’s stock price up nearly 15% the following day. Over the course of the following two weeks, DISCA and Viacom (VIA.B) held talks with SNI to present their best offer. In the end, DISCA won the bid to acquire SNI at a price of $90 per share with 70% of the deal being paid out in cash and the remaining 30% paid out in DISCA shares. The buyout price represents a 73.6% return since our initial purchase was made 23 months ago. Regular readers of this column might recognize SNI as I have highlighted it a few times in previous columns. SNI was one of the handful of new positions we’ve taken over the past couple of years and it fit everything we look for to a T. In 2015, the market was in the midst of an earnings recession, but SNI continued to grow revenues, cash flows, earnings, and dividends. At the time, Netflix was thought to be conquering the world as Millennials everywhere were going to start “cutting the cord”. The “cutting of the cord” argument was and continues to be very persuasive, but it certainly doesn’t apply to all media companies. SNI was one of the few, if not the only, U.S. network content company continuing to grow their subscriber base and advertising revenues. The market decided to lump SNI in with everyone else, which caused us to find a great investment opportunity. Our quantitative model was able to parse through the rubble and our fundamental research process confirmed that SNI was not a dying company even though the media and pundits suggested otherwise. We stuck to the process and the rest is history. DISCLAIMER: This writing is for informational purposes only. The information contained in this writing should not be construed as financial or investment advice on any subject matter. 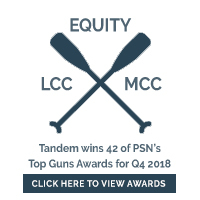 Tandem Investment Advisors, Inc. does not represent that the securities, products, or services discussed on, or accessible through, this site are suitable for any particular investor. You acknowledge that your requests for information are unsolicited, and the provision of any information through this site shall not constitute or be considered investment advice, or an offer to sell, or a solicitation of an offer to buy any product, service or security. 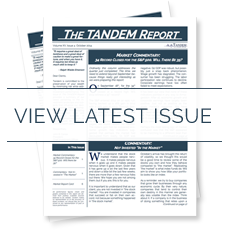 From time to time Tandem may discuss select purchases and/or sales within this report. All past portfolio purchases and sales are available upon request. Any portfolio transaction discussed here does not constitute advice or a recommendation. Please consult your financial advisor before making any investment decisions. For information regarding past purchases and sales, please contact John Carew at jcarew@tandemadvisors.com. * FDS was purchased, GWW and RMD were sold and SNI is owned across all strategies (Tandem Large Cap Core, Equity and Mid Cap Core). ** NNN and SJM were purchased across Tandem Large Cap Core an Mid Cap Core. *** DG was purchased and NEE was sold across Tandem Large Cap Core and Equity. **** ORLY was sold across Tandem Equity and Mid Cap Core.